An introductory reading adventure that lays the foundations for confident reading. For children 2 – 5 years old. 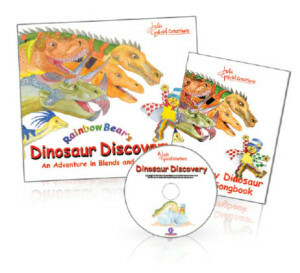 The second book set in the series of reading adventures introduces 24 dinosaur characters that help Rainbow Bear along the path to fluent reading. For children 3 – 6 years old. Children love puppets! 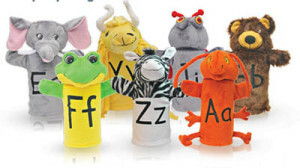 They’re great for engaging the imagination and building confident expressive communications skills. 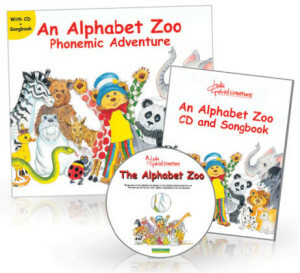 PlayClub Songs are a great way for young children to learn language as they enjoy the rhythm of the music, and catch repeated sounds and words. This collection of favourite songs from Julia Gabriel Centre’s Adult Accompanied Programmes, sung by our very own colourful and loveable PlayClub Bears, will have all the family joining in.